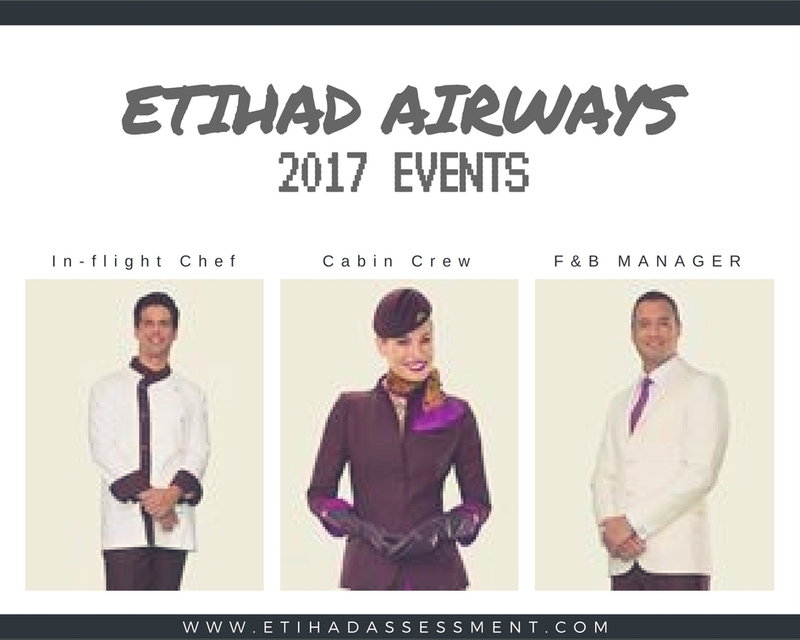 Etihad Airways, the second-largest airline of the UAE will be holding upcoming cabin crew events for 2018. The worldwide tour of Etihad aims to bring qualified candidates from different cultures and backgrounds that can deliver outstanding customer service and present the unique culture of Arabian hospitality. The United Arab Emirates national airline is growing rapidly and among the first leaders in the commercial aviation industry. Because of this, the flag carrier airlines won many various awards, such as being named as of the leading premium airline and one of the best airlines in the world by Skytrax. If you're looking to enhance your career and become part of the world's leading cabin crew, then do check the details below to see if Etihad Airways will be holding open days in your country or a neighboring country that you can attend. Note: The airline might change the open day schedule without prior notice, so please check a week before attending. Also, read the following posts that cover all you need to know before you apply. I advise all candidates to apply online as soon as possible, to ensure your spot and a chance to be invited for the actual assessment day. The main reason for having open days is to bring candidates that are not successful when applying online or they haven't been guided to apply online in the first place. 1 copy of your full cv that includes up to date employment dates, contact information, email address. Note: Successful candidates will be called to attend the assessment day the following day (through email). Also, it's advised to take a full-length photo along with passport photo and CV. What does “INVITE ONLY Assessment” Mean? It means that you have applied online for careers, and your application was successful and short-listed for further evaluation. The recruitment team will then send you an invitation email to attend an assessment day in one of the previous countries that are closest to you or suitable for you to travel. The recruitment team will send you an email to verify your spot for the assessment day and all you have to do is confirm your attendance for the specified date. What does “Open Days” Mean? As I said earlier in the post, it means no invitation required and an actual face to face interview with the recruitment team. If successful, you'll receive an email right after your open day (evening-night time) that you have passed the open day and required to attend the assessment day usually the following day. Then the process goes as I mentioned above. Important: if you're attending an open day, there is a chance for you to be invited the following day, so I advise you to prepare all urgent documents that are needed. For example passport, passport photos, full-length photos and recommendation letters if you have em. 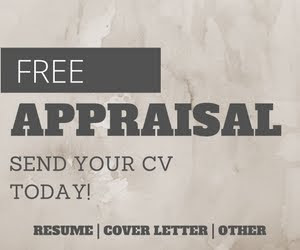 Send your cover letter & resume for feedback & advice, FREE APPRAISAl. Etihad Airways is also looking for In-flight chef and food & beverage managers positions, which is ideal for people with F&B experience. To apply for these positions directly please visit Etihad webpage here and apply for the position most suitable based on your work experience. Note: Preference given to candidates with multi-language skills such as Arabic, Dutch, Japanese, French, Spanish, Portuguese, Mandarin and Vietnamese languages in addition to English of course. I wish you luck with your application and if you have any questions, please comment below and I shall reply to you shortly. how many open days do you have per year that will be held in South Africa? Currently none, but depends on each year schedule. Isit possible that the "none" status for South Africa open days may change? Do you have any upcoming open days in Spain? hi please any open day or assessement in morocco!!! Hi Tima, they're available now. hi akhi, i am from Casablanca, i see that Etihad recruitement team are visiting Casablanca, for an assessment day in August the 8th , so please i can't find or how to submit my application for this assessment day, i was oriented to many websites link, can you please help me with that?? hi again, i recieved a automaticlly email told me that i am short listed and that i will be invited to an assessment day. the worry that i have now is that i see that Etihad is handling an assessment day in casablanca in august 2017, but they didn't talk about it, it is normal? do i have to wait? Ok, if i were you. I would send them an email saying that you can attend the event on August. Sometimes they're full and won't send anymore invitation. However, you still could receive one but it's best to reach out to them first. i will send an email as you said, but i lost the exact date of the event in casablanca ,and it's also was removed from the Etihad airways website, can you help me with that? Hey. Do you hire people from india? Any open day assessment for India? Hithey will take bold guy as cabin crew? There aren't any rule that limit such cases from applying. And they're have been people gotten through with bald hair. So it depends on how well they qualify and whether they impress the recruiters. Hi, I'm sort listed for assessment day, and I'm wondering when they going to confirm the dates of assessments. Are we going to have any information in advance or they keep everyone in the dark? Congrats, you'll be informed once there is an assessment day event. Check your email regularly. Hi, when you open day in Malaysia? Hello my name is Martha Tsiledakis from Athens Greece. Could you please inform me if there will be scheduled an Assessment Day or a drop CV Day for Etihad Airlines in Athens, Greece so as I come by and leave my CV? Also could you please assist me with the contact Information, which Email Address shall I send my CV, because everytime I apply online for the Gabin Crew Position, the System says that I have already applied for the specific Position. Thanking you very much in Advance. Well, Etihad has the recruitment process online, so you will need to apply online, and you always have the chance to login your profile there and modify your CV, and resubmit it, good luck! Any information on when would future assessment day be conducted? Hi. Do you ever have open days for ground customer service agents? Can you please tell me if there will be assessment day or open drop CV day in Serbia? Do you have any upcoming open days in United States? Hello, could you tell me please when is open day in Abu Dhabi? Hello, could you please tell me if there will be an assessment day in Abu Dhabi on the 28th of August. I saw this date here some time ago, but I don't see it now, has it been changed by any chance? Thank you in advance. The assessment days were postponed and unless you don't see them on the official site, then they're not live. Kindly please tell me if there will be an assessment day in Abu Dhabi on august , because i got that email ( Thank you for your application for the position of Cabin Crew - Arabic Speakers. please give me information about the exactly date and what should i do . May I please ask - how soon did you receive that email? How many days/weeks since the day you applied? Thank you so much for your help! No specific age is set as maximum, but according to independent research, airlines often don't accept candidates beyond 37-38 years old. I thankfully acknowledge receipt of your mail. I would just like to have additional information regarding the date of assessment days. Currently none, if there are any open or assessment days, you'll see it on the official page. Hi, I'm Egyptian it is better to apply and fly to abu Dhabi for the assessment day or will the company have open days here soon, any news ? You gotta check the official site regularly and after you apply online, if you're successful you'll be invited to attend an event near you. Im shortlisted since June in Etihad , but there is no assessment days yet. is there any hope that they will make one before my application end? Events are beginning to take place, stay alert. Are there any open days in Kenya soon? Are there any Assessment days in Egypt soon ?? Nothing yet, We're waiting for the 2018 event announcements. Hi why don't you come to Kenya? hi do you have CV Drop off event in Dubai or abu dhabi this 2018? Still waiting for the 2018 event schedule. Check our social media pages, group and site regularly for any announcements. When is the etihad cabin crew recruitment event in delhi , india ? Is it necessary to have job experience ? Coz i do not have any kind of job experience not even in customer service. Will my cv b rejctd due to this reason ? I'm currently 20 years old from sri Lanka and I wish to join etihad airways as a flight attendant. Will you be having interviews here in sri Lanka? Nothing is release yet, waiting for the 2018 event schedule. Hi, I am egyptian and live in Poland. Are you going to have An assessment day in Poland ?? Nothing is release yet, waiting for the 2018 event schedule. Although, you should be applying online regardless. Hi , is there is any assessment day in Tunisia ?? And whene is it ? Hi there .. will there be a recruitment day in South Africa Durban any time this year ? Where can I find the assessment schedule? Is there an assessment day in Australia/New Zealand or any neighbouring country? For now we're still waiting for the event schedule for 2018 and will post an event as soon as it confirmed on the official site. Ola quero muito saber a data de seleção para o Assessment Day da Etihad Airways 2018. Por favor tenho interesse, desde já agradeço. Is there going to be any assessment day in Serbia soon? Is there any assessment day in India? Nothing official for now, yet online application are accepted. Hi there, No that's not a requirement at all. There are special vacancies that target Arabic speakers. English is the main language across the globe and Etihad recruits candidates from non-arabic countries because of their English fluency. Is a there any possibility for interview to be held in India ? Is there any possibility for interview to be held in India ?